Those road trips we took as kids with our dads—to Disneyland, to his favorite fishing hole, or with tickets to “the big game”—left us with indelible memories. The passage of time has cast a hazy, warm glow over all the bickering, car sickness, and incessant "Are we there yet?" queries. Those experiences need not all be behind us. With Father’s Day right on the horizon, it’s our turn to treat the old man. Or if you’re a dad yourself now, tradition dictates that you pack the family truckster and get the show on the road. Here are five possible road trips for dads, just in time for Father’s Day. Just a four-hour drive from Denver, CO, is Great Sand Dunes National Park and Reserve. 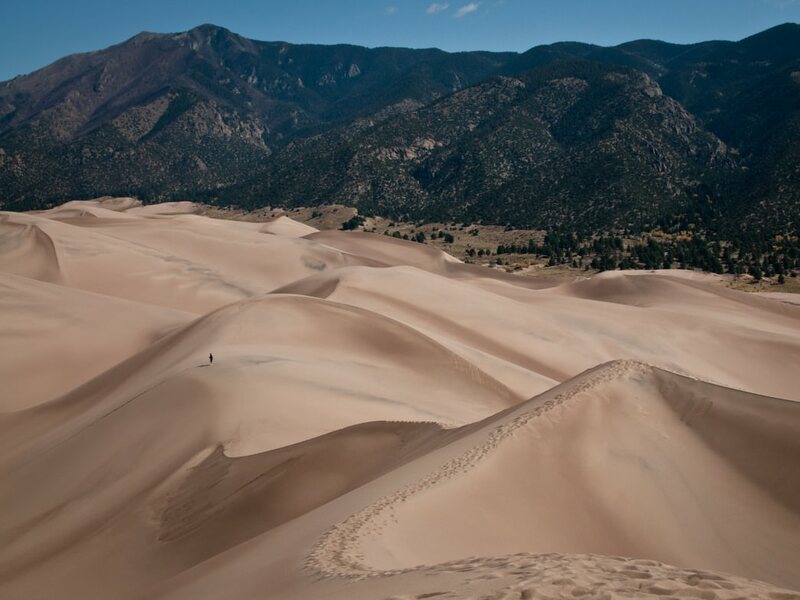 Spread over 30 miles between the San Juan Mountains and the Sangre de Cristo Range, the dunes are the tallest in North America, rising as high as 750 feet. During the day, remind dad to wear his shoes and sunscreen and carry water, because the sand can get as hot as 150 degrees. And make sure you and he bundle up at night, because it gets chilly at the dunes’ 9,000-foot elevation. But if he warns you to watch out for scorpions and snakes, let him know you're safe because the environment is inhospitable to them and much of any wildlife. Make sure to pack sand boards and sand sleds to slide down the face of the dunes. Snow sleds won’t cut it. But bring the inflatable toys for play time in Medano Creek, which flows along the base of the dunes. June day-time temps of 75 to 80 degrees are agreeable for hiking one of the short trails into Sangre de Cristo foothills. What life does thrive here does so above and beyond the dunes. Ranger-led walks and programs are available in the summer, so check out the schedule of activities at the visitor center. Every family must, at some point, visit Mount Rushmore in southwest South Dakota. But what’s there to do once dad has taken the obligatory photo of you in the foreground pretending to pick the nose of one of the four U.S. presidents behind you? (Google it. It’s a thing.) 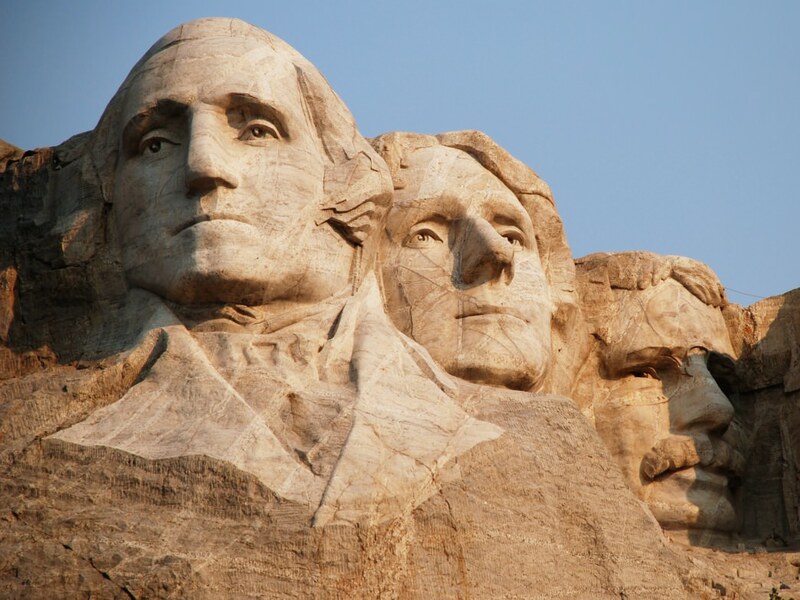 The busts of these esteemed men, carved into solid granite, suffer silently to this indignity at the raised hands of many of the three million people who visit annually. Catch the morning light playing with the features of our forefathers at Mt. Rushmore, just 24 miles from Rapid City. Then, if only for the opposing perspective of American history, drive the 17 miles further southwest to see the imagined likeness of Lakota Sioux warrior Crazy Horse on horseback taking shape out of Thunderhead Mountain. Both sites are serviced with theme restaurants and tourist traps. From the Crazy Horse Memorial, head south on Highway 87 for 50 miles through the picturesque pines and boulders of Black Hills. Then take the 18-mile loop through the 71,000-acre Custer State Park, where a herd of buffalo roam and frequently stop traffic. From Rapid City the next day, it’s just 32 miles to the southern portion of Badlands National Park, 244,000 acres of eroded rock features and grass prairie. If you drive through the Badlands, rather than camp and hike there, make frequent stops to take in the scenery and to check out the Fossil Preparation Lab. When you're done, refuel at the infamous Wall Drug. For 469 miles through NC and VA, the Blue Ridge Parkway is meant to be driven slowly and deliberately while taking in the vistas of the Appalachian Highlands. Eight campgrounds, including three backcountry campgrounds, and 13 designated picnic areas service the parkway. Permits for these are required, often six months in advance. There’s a big payoff for planning that far in advance though, as there are some 360 miles of hiking trails, most of which are located within in eight areas of the parkway. Camp at Julian Price Park and use it as a base for canoeing and kayaking on Price Lake and hiking the Tanawha Trail up the aptly named Grandfather Mountain. Nearby is Linville Gorge—the nation's first officially designated wilderness area—which can be reached from the visitor center. 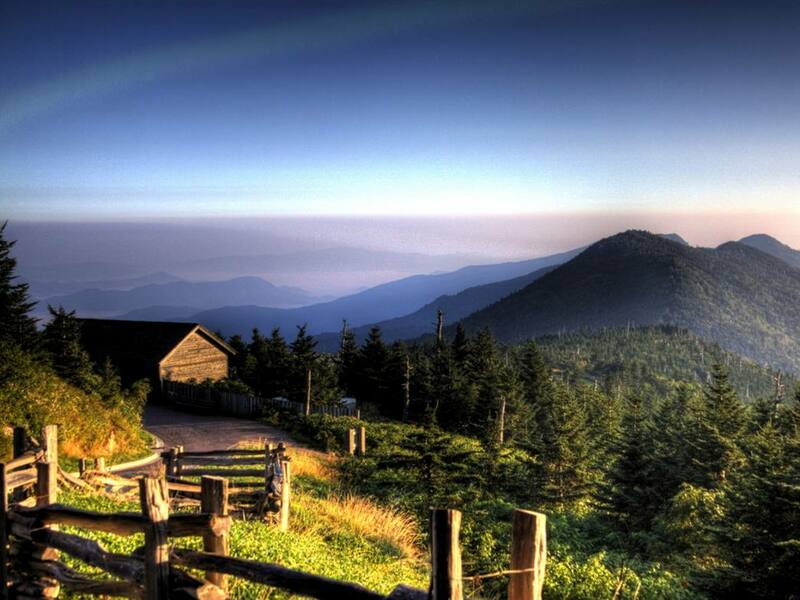 The Great Smoky Mountains National Park region near the southern end of the parkway, can be viewed from the 70-foot lookout tower on the summit of Fryingpan Mountain. A more well-known landmark, Humpback Rocks, is accessible from the Appalachian Trail threading down through the Shenandoah National Park to the Parkway’s northern end, and includes the relocated cabins and farm buildings of late 19th century settlers in the area. If dear old dad is anywhere near Portland, OR, taking him on a waterfall hike in the Columbia River Gorge is an absolute must. There’s no going wrong on the Eagle Creek Trail with 20 waterfalls over the first seven miles. Do it in a day or over a weekend, just don’t leave out the 175-foot Tunnel Falls. That hike is rivaled by the 8.7-mile Trail of Ten Falls Loop at Silver Falls State Park. Although it has half as many waterfalls, ranging from 27 to 177 feet in height, the views of them are even better. 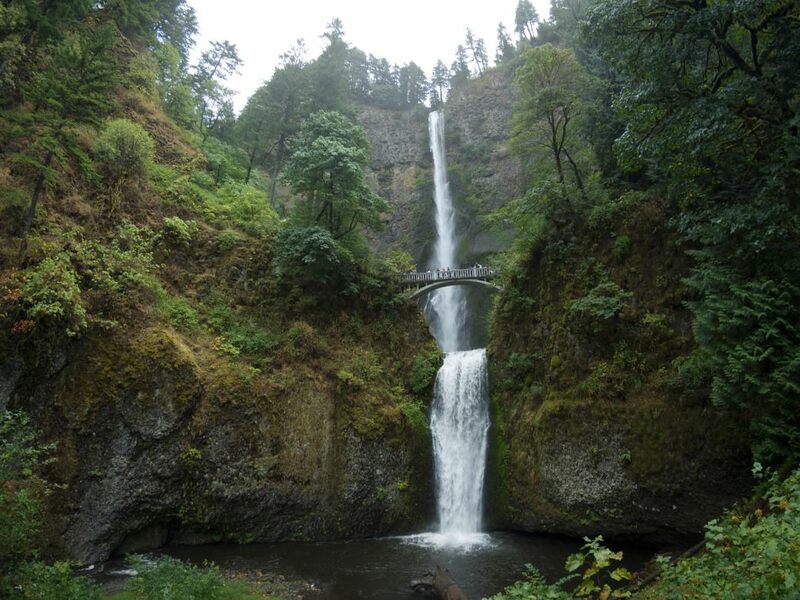 The Horsetail Falls/Triple Falls Loop introduces hikers to still more popular waterfalls in the in the gorge. The Triple Falls Trail is a challenge, worth noting if dad is a candidate for a knee replacement. Flat at first, the trail’s steep switchbacks to each of the three stream falloffs is as stunning as the way is grueling. Multnomah Falls is one of the busiest tourist attractions in the state, so pick a week day or a non-holiday weekend to visit it. If dad needs a break from driving and a cool soak instead, best to find a swimming hole. Speaking specifically about the Austin area, Barton Springs Pool is a 68 degree and clear year-round. There’s water deep enough for diving, shallow enough for little tykes, and open and grassy banks for sunbathing. Krause Springs, a private park outside Austin, is also a constant 68 degrees. Besides a beautiful place to swim (with a great rope swing, there’s overnight camping and boating. Hamilton Pool is one of the most inviting geological phenomena of the Texas Hill Country. 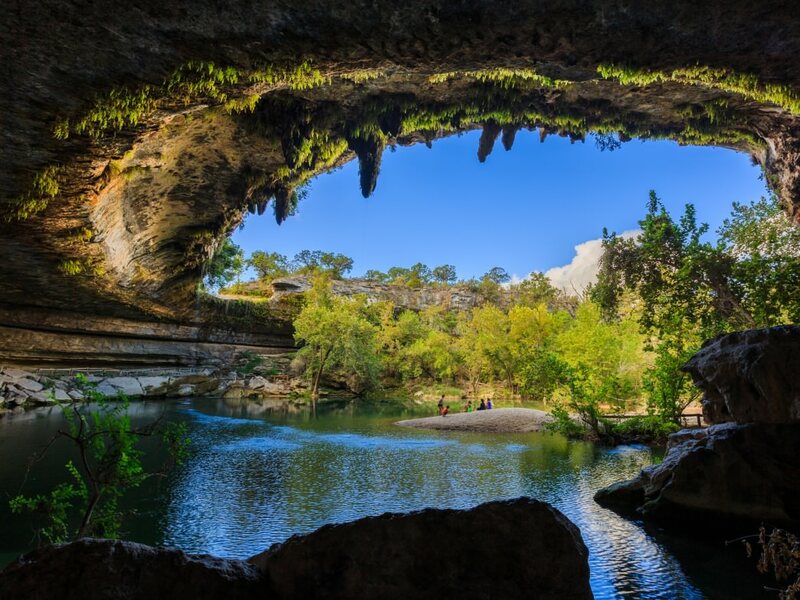 With a small sandy beach and a 50-foot fall plunging into the cool waters below, it's one of the most scenic swimming holes in Texas. But it can be very crowded in the summer, so be forewarned. For a tremendous central Texas swimming experience, go to Jacob’s Well Natural Area, 40 minutes from Austin just outside Wimberly. Jump from rock ledges directly into a cool, clear artesian spring. If you’ve ever gone tubing, such as on the Comal River, you may be hesitant to repeat the experience. A party atmosphere—the college-age, hard-drinking variety, rather than one with a family friendly vibe—tends to dominate the tubing scene. But it all depends on when you go. Call ahead for advice from any of the tube-shuttle services on the Comal. What you definitely want to avoid as a family, especially if you’re looking to provide innocent fun for young children, is the likes of Hippie Hollow—a legal, clothing-optional public beach. This Austin-area site is for adults only. Suggest it to dad only as a trip destination where he can let his freak flag fly.